Our ‘Unexplored, the Far North’ is a 3-week off the beaten track Thailand, Laos and Vietnam tour. Little more than one hundred years ago much of these northern reaches of Southeast Asia were still marked on maps as simply ‘unexplored’! 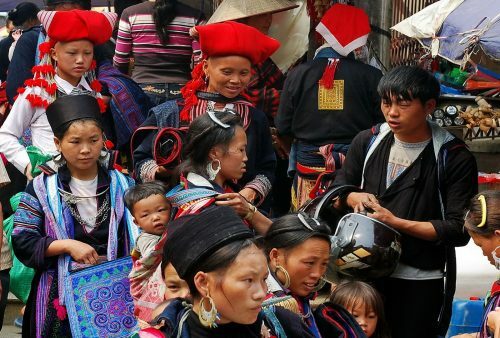 This northern Indochina tour will offer you the chance to journey overland through some of these remote, rarely-visited, but truly spectacular regions, from Thailand’s infamous Golden Triangle, across the dramatic mountains and forests of Northern Laos and into the lush valleys and high peaks of Northwest Vietnam, inhabited by myriad, still very traditional hill-tribe groups. Travel from northern Thailand’s charming Chiang Mai to UNESCO World Heritage Luang Prabang, the enigmatic Plain of Jars, awesome limestone scenery and famous Vieng Xai Caves of Hua Phan Province, the spectacular rice terraces and myriad hill-tribe villages of northwestern Vietnam, the picturesque old French Hill station of Sapa and on by train to our final destination – and also World Heritage listed – Vietnamese capital of Hanoi. 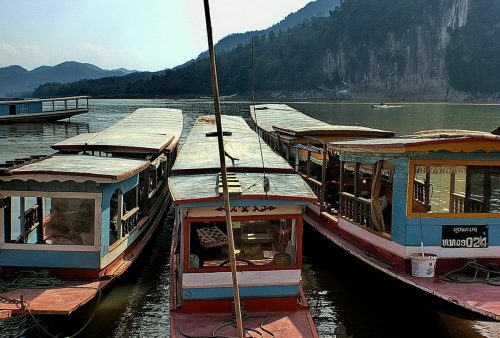 For those with an extra couple of days to spare then add on a 2 day, 1-night extension to fabulous Halong Bay with an overnight stay on board a traditional style junk. 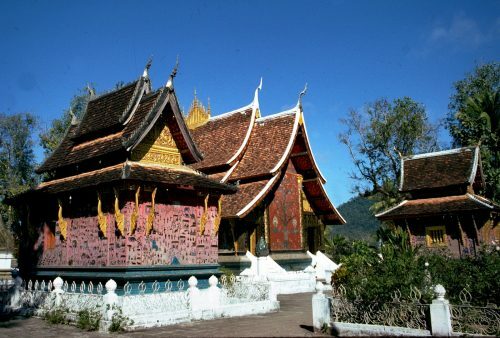 Conversely, for those with less time, a shorter, 2-week version, of this tour, ‘Mountains and Hill-tribes‘ begins in Lao’s Luang Prabang. Arrival in Chiang Mai, the cultural and historical capital of northern Thailand. Afternoon free to relax or explore this charming, friendly city before an evening tour of the famous night-bazaar. 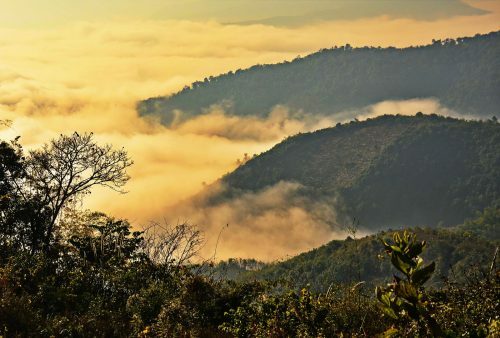 Scenic drive through the mountains to neighbouring Chiang Rai Town – the main commercial centre for the infamous ‘Golden Triangle’ region – so-called because of its former notoriety for warlords and opium cultivation.! 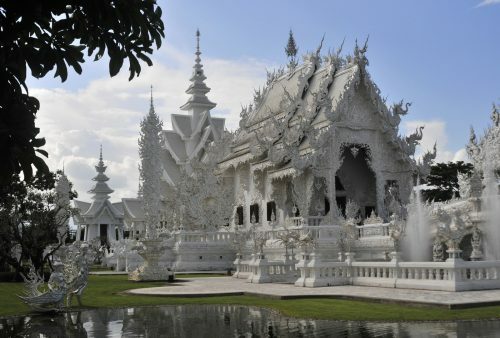 A stop on the way to visit the unique ‘White Temple, Wat Rong Khun and overnight in charming chalet-style accommodation set in a lush tropical garden. Tour of some of the sites of this far northern region. Beginning at the splendid, mountain-top, botanical gardens of Mae Fah Luang we’ll travel to Sob Ruak, where Burma, Laos and Thailand meet and visit the unusual Opium Museum, before following the Mekong River via the ancient ruined city of Chiang Saen, to our day’s destination, the delightful riverside town of Chiang Khong. 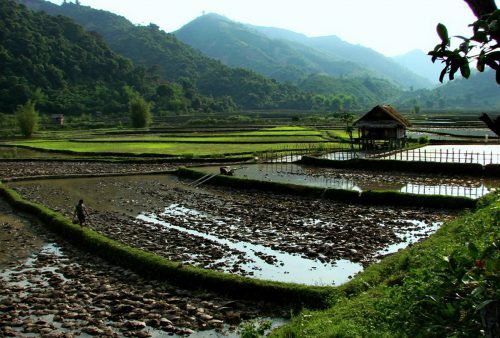 Cross the Mekong into Laos and upcountry through scenic mountains to the remote town of Luang Nam Tha near the Chinese border. 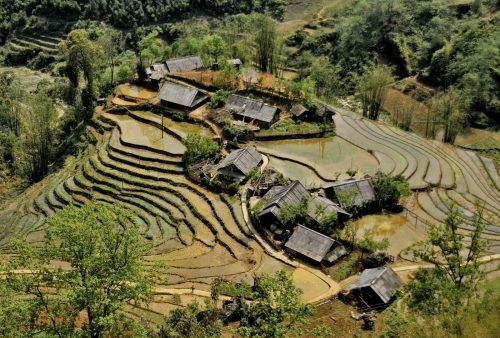 Stop on the way at villages of the Lanten and Khmu ethnic minorities, as well as the recently discovered, Kao Rao limestone cave system. 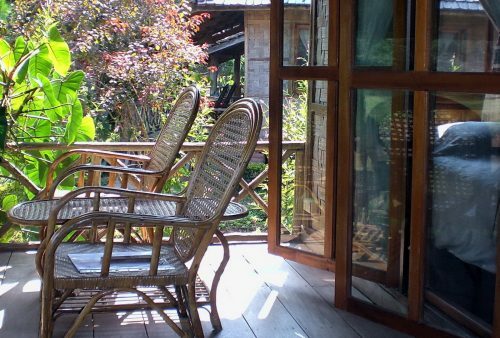 Accommodation at a beautifully situated eco-lodge on the banks of the Tha River. 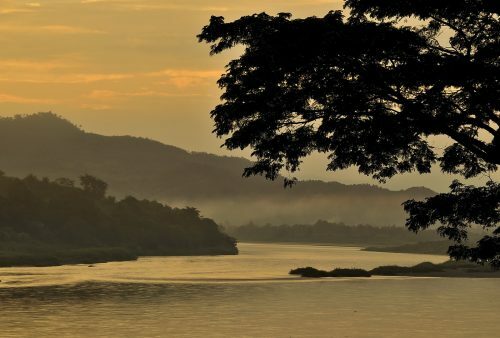 Visit the Nam Ha National Protected Area. 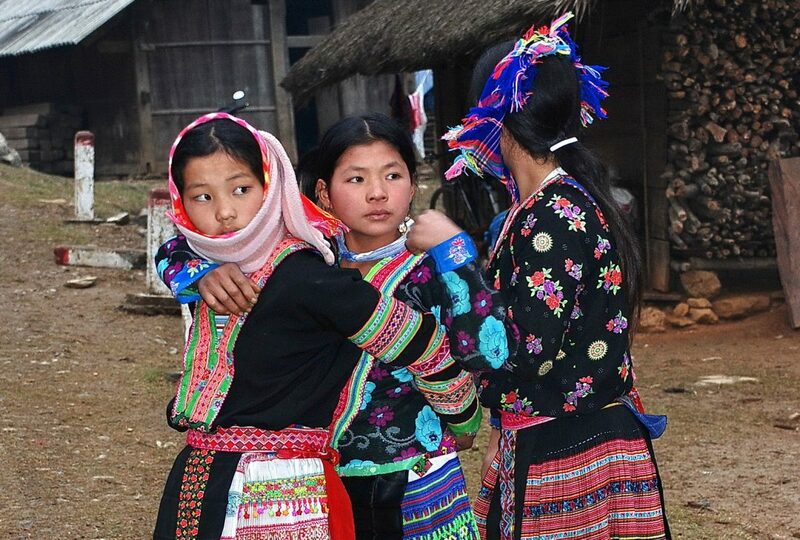 Hike through the spectacular scenery and visit hill-tribe villages to discover the traditional way of life of the area’s ethnic Akha people. 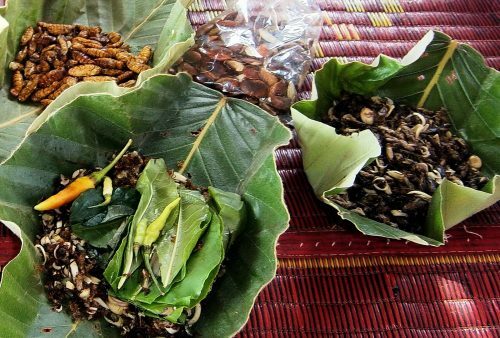 Guides will show you some of the various forest plants used by the villagers as medicine or food, as well as cooking up a traditional-style, Akha ‘jungle lunch’! Drive across the mountains of Oudom Xai Province to the picturesque village of Nong Khiaw on the banks of the Ou River. En-route we will visit a Hmong village and a hill-tribe market with an overnight stay in traditional Lao-style wooden chalets set high on the banks overlooking the river. Journey by boat up the Ou River. 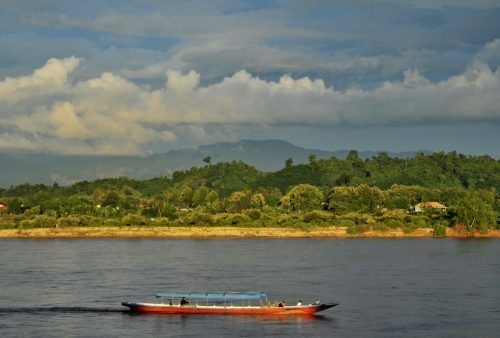 The section north of Nong Khiaw is perhaps the most spectacular stretch of the river as it winds its way through dramatic limestone escarpments where we’ll stop at a Khmu/Hmong village accessible only by boat. 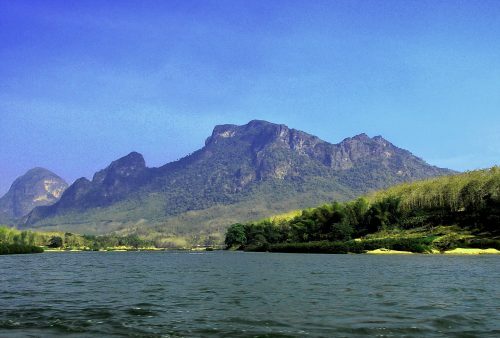 Return to Nong Khiaw, with some time to relax in this superb mountain setting. 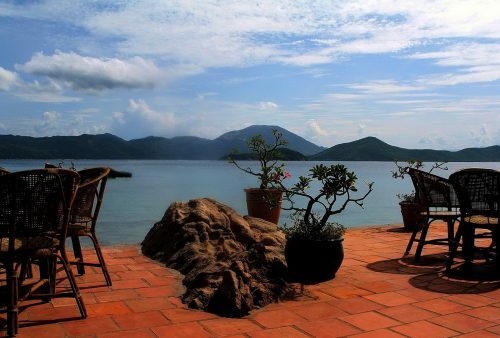 ; explore the area on foot or bicycle or just sit back on your balcony and admire the scenery. Morning drive south, following the Ou River Valley, to the famous cave temples near Pak Ou. 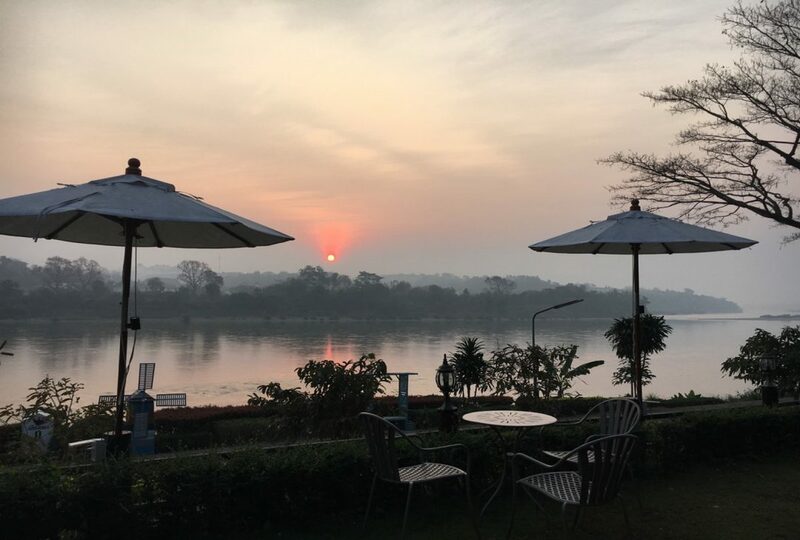 Lunch in a riverside café and village visit with an afternoon arrival in the ancient Lao capital and World Heritage site of Luang Prabang and perhaps sunset at the nearby Phu Si hill temple? Head into the picturesque, surrounding hills where we’ll visit the spectacular Kuang Si Waterfalls and excellent Free the Bears Rescue Centre. 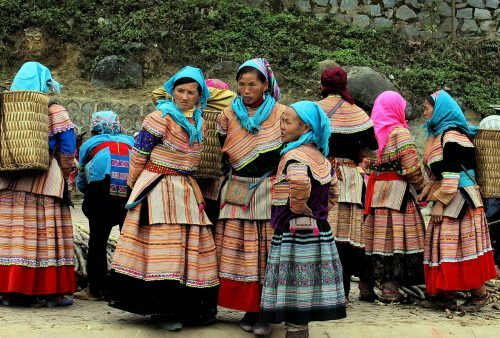 Stops en-route allow us to discover the fascinating, and still very traditional, village life of some of the region’s local peoples. 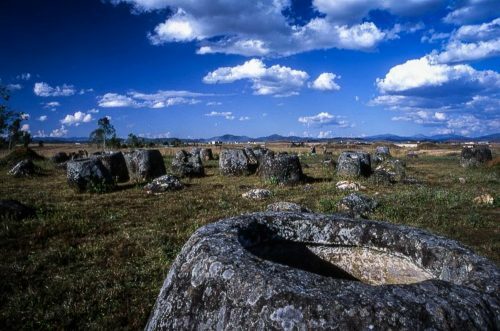 Travel along scenic mountain roads to Phonsavan in Xieng Khouang Province – location of the famous and enigmatic Plain of Jars. 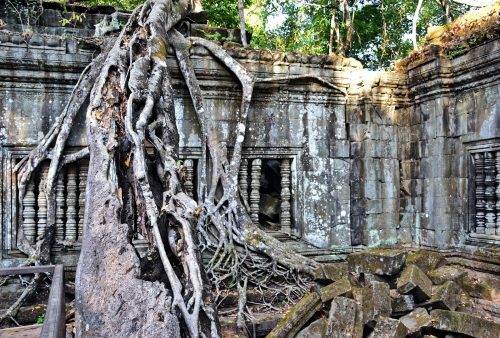 Stops on the way include Khmu and Hmong villages as well as a hidden cave temple that served as a former army hospital during the Indochina War. An atmospheric dusk visit to one of the famous jar sites completes our day. Morning visit to the Mines Action Group to learn about the work they do in clearing the area’s landmines and unexploded ordnance before travelling to the picturesque Jar Site 2 where we’ll take a short hike along the ridge to the impressive, hill-top Site 3. 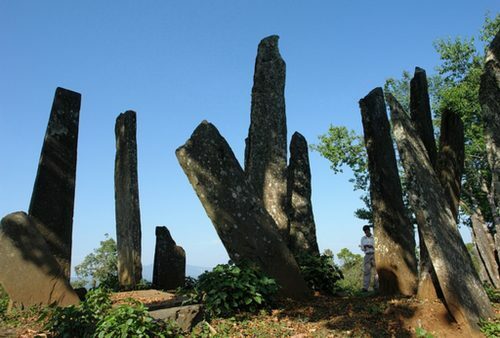 Afternoon visit to the atmospheric ruins of the ancient city of Xieng Khouang, now known as Muang Khoun. Departure for the remote town of Sam Neua in far northeastern Laos. 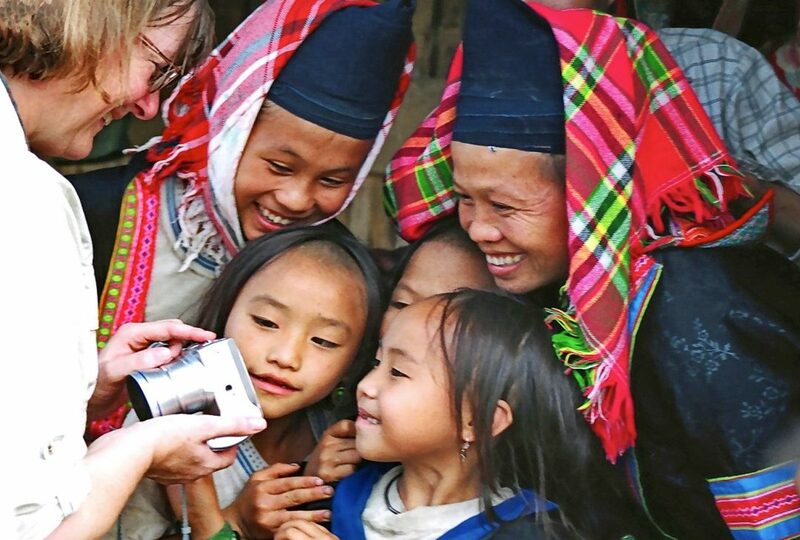 Our journey includes a visit to the mysterious Hintang menhirs, (about which practically nothing is known), stops at Hmong and Khmu settlements and a Tai Phong weaving village, as well as plenty of photo opportunities of the breathtaking scenery. After a stroll around Sam Neua town, including a riverside walk to the local fresh market, we’ll set off on the short drive to Vieng Xai Caves where the communist Pathet Lao leaders lived during the war against the US-backed government. 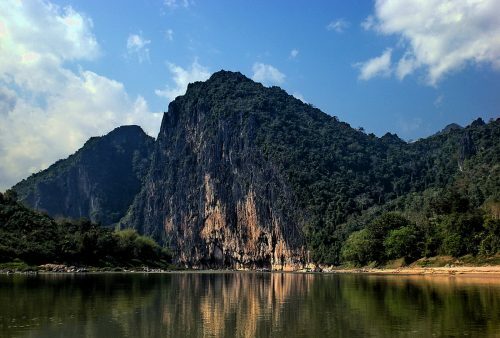 The fascinating tour includes the famous caves, as well as lesser-visited sites hidden among the area’s beautiful karst, scenery. Early morning departure through more spectacular countryside and past traditional Black Tai villages to the nearby border crossing at Nam Meo. 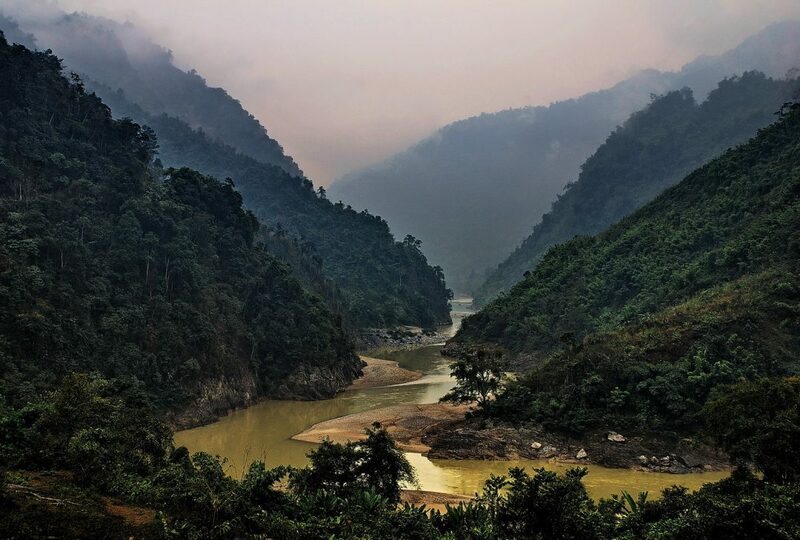 From here we’ll head into the stunning scenery of Vietnam’s Pu Luong National Park for a hike through the superb landscape and an overnight stay as guests of local villagers. Today will take us across the Da River to Nghia Lo district. 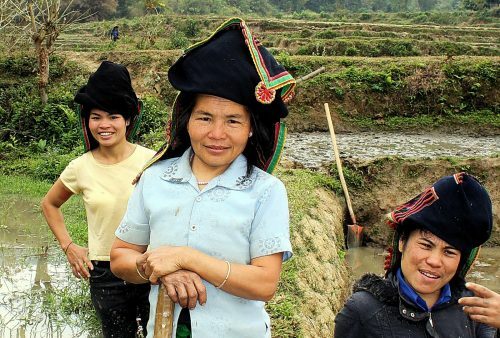 This is a stunning, rugged, mountainous and sparsely inhabited part of northern Vietnam where most of the local people we encounter belong to the various Tai or Hmong minority groups. Overnight in the small town of Nghia Lo. 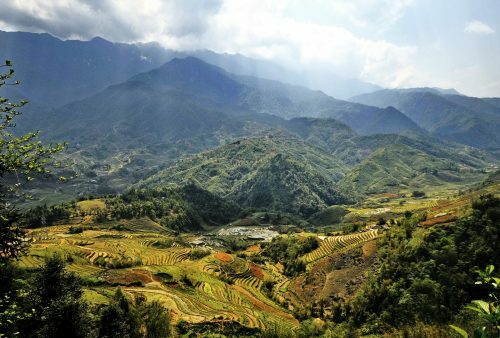 Heading northwards towards Tu Le, a region settled predominantly by the Dzao ethnic group, through more glorious mountain scenery we’ll explore the magnificent rice terraces at Mu Cang Chai – carved out of the steep valley sides by the local Hmong people and reputed to be the country’s most spectacular. 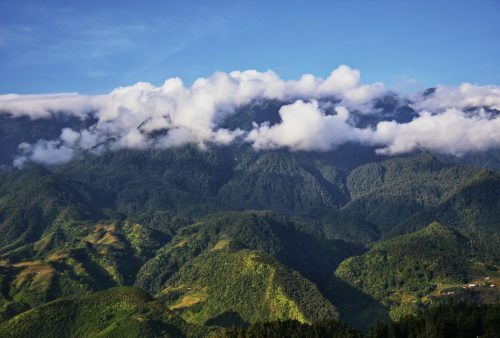 Day hike through the area’s incredible and varied scenery – known to the French as the Tonkinese Alps – including terraced rice-paddies, Hmong and Dzao villages, bamboo forests, towering peaks and crystal clear streams. 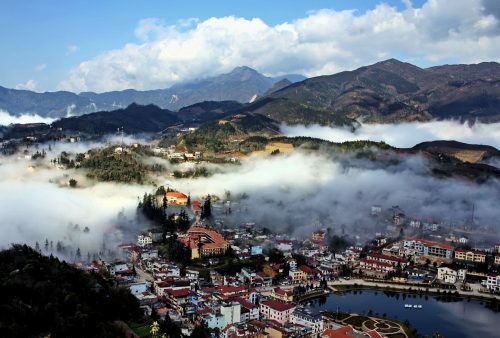 Morning at leisure to explore the town, roam the bustling hill-tribe market, or simply sit back on the hotel balcony and admire the awe-inspiring view with a late afternoon transfer to nearby Lao Cai Town to catch the night sleeper train to Vietnam’s capital, Hanoi. Arrival in Hanoi and check-in to a downtown hotel. 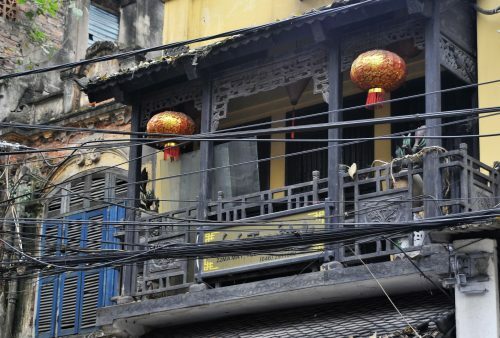 An afternoon tour of the city includes Ho Chi Minh’s mausoleum, the 11th-century University, Hoan Kiem Lake and a walking tour of the narrow streets of Hanoi’s bustling old commercial quarter. 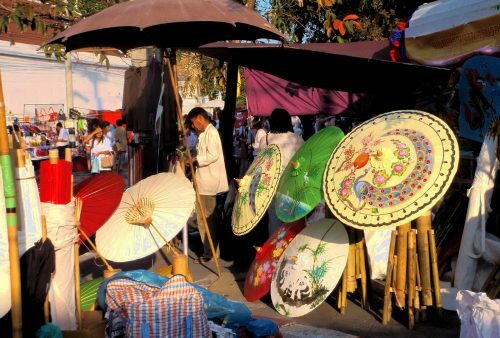 In the evening perhaps catch a performance of the highly original water-puppets before a guided tour of local street food. Morning at leisure and departure at your convenience. Airport transfers are included if you purchase the ‘with flights’ package. If you purchased your own flights, airport transfers can be arranged. 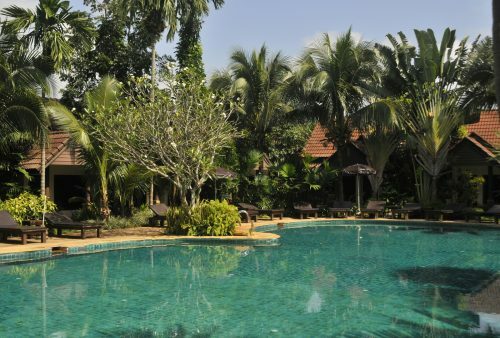 Extra accommodation in Chiang Mai or Hanoi after your tour is available if required. Laos: No visa in advance is required. A 30-day visa can be obtained for you at the border. Approx. $38). 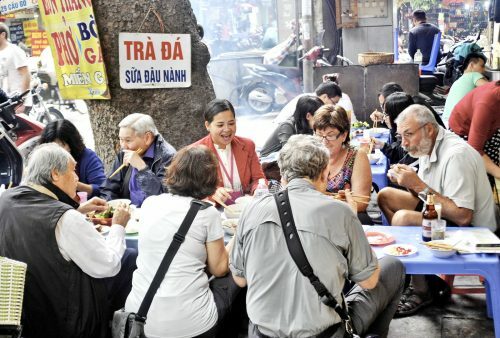 Vietnam: Visas are no longer required for citizens of some countries including France, Spain, Italy, Germany and the UK for single-entry visits of up to 15 days. For longer visits, and for visitors from some countries, a visa MUST be obtained in advance from your embassy. Your entry point is Na Meo, Thanh Hoa Province. You are arriving by road on day 15. Your point of exit will be Hanoi Airport. 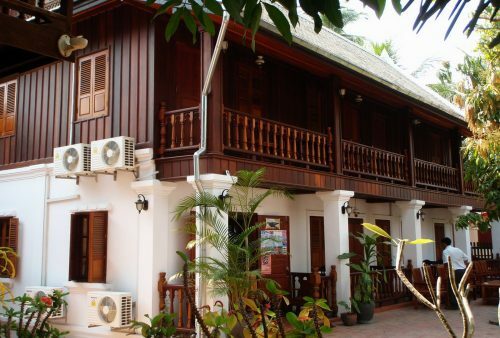 The address during your visit is c/o Golden Tortoise Travel, Hoang Hoa Tham St, Allee 465, no 13, Hanoi. 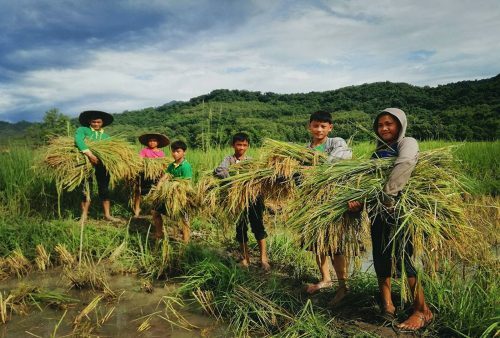 Further info: more details and photos of our ‘Unexplored – the Far North‘ tour or check our Lao reading and viewing list here.
" 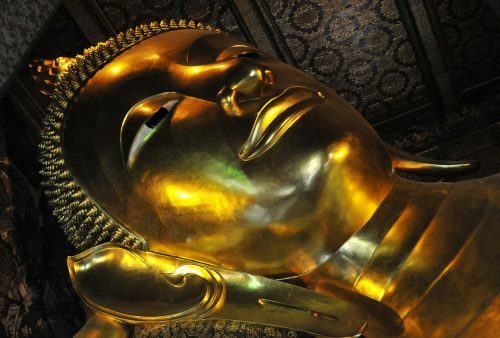 We have just returned from our first visit to Thailand, Laos and Vietnam. It was the first time we have travelled with All Points East, and we would have no hesitation in booking future trips with them. They were attentive to our needs, from the initial planning stage, and throughout the very interesting, enjoyable and comfortable travel experiences. Their choices of accommodation were very well located, and of very good standards relative to each location. All guides were consistently helpful, friendly and knowledgeable. Wi, was a gem as our Tour Manager and a joy to travel with. Minibuses were comfortable and driven by very competent, safe drivers. 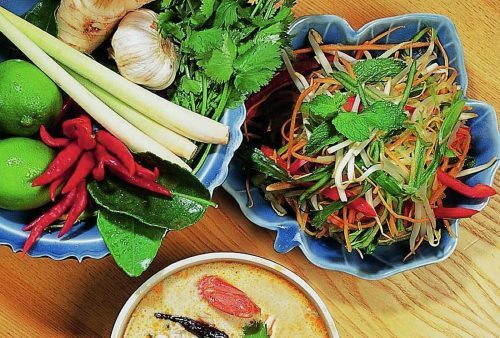 The itinerary was well outlined, and in reality, our experience as a whole exceeded our expectations. Thank you All Points East for a wonderful experience.
" I'd like to thank you for a wonderful holiday. It was my first trip in Asia and it was an excellent experience. I was particularly pleased with my tour guides and drivers. They were extremely professional, friendly, knowledgeable and helpful. Always doing their best to make sure everything went well. I felt very well looked after. Thank you again, I am a delighted customer! " " Oh was an excellent guide! He was knowledgeable, helpful, funny and made me feel totally at home. I can say that he probably was the finest guide I have ever had and certainly the funniest! The cultural portion of the trip exceeded my expectations - village visits, markets, Luang Prabang, the old quarter of Hanoi. All in all, it was a great trip and I would not hesitate to recommend your company or sign up for another trip. " " I really enjoyed all the contact with the local people and the time we had to interact with them. "